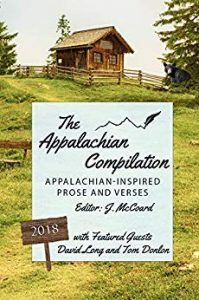 An anthology by The Mountain Scribes, some amazing local talents. “First Kiss” a not-quite coming of age story. 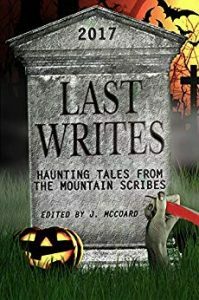 The Mountain Scribes’ first anthology, release in October 2017. “When I Wake From Dreaming” the story of a genetically engineered engineer, their training and their first day on the job. 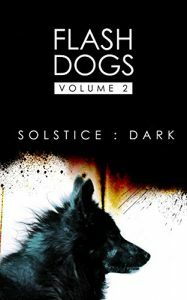 Flash Dogs – Solstice Dark – An anthology of short stories written by some of the best flash fiction writers I know– and me. Inspired by the Solstice. 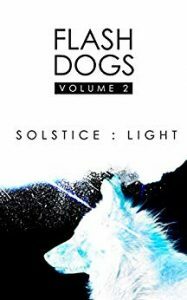 An anthology of short stories written by some of the best flash fiction writers I know– and me. Inspired by the Solstice. Trick of the Light – Children’s games aren’t real, right? 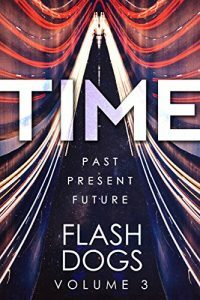 Flash Dogs – Time Past, Present, Future Another Flash Collection from the FlashDogs – an international collection of writers who met through various flash fiction contests across the web.